Often adult children are suddenly required to make living arrangements for their parents that include moving to safer surroundings. Helping loved ones make good decisions about their future can often be stressful and at times even overwhelming. At Trail Ridge we understand and have gathered the following information to help you make the best decision and assist you through the process. We offer information and answer several key questions that are often asked, and hope this will help you create a plan that makes sense for you and your loved one. 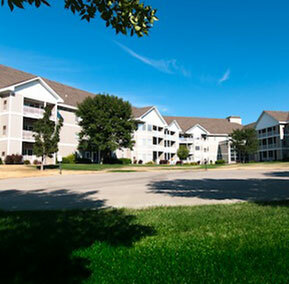 Trail Ridge’s assisted living wings combines housing and personal care in a beautiful residential setting. Trained staff is available 24 hours a day to provide support for those who need assistance with daily activities such as bathing, dressing and medications, but do not yet require complex medical services. Residents enjoy 3 delicious meals each day and a variety of snacks. The private assisted living apartments feature a living room, bedroom, kitchen and private bathroom with a walk in shower. Each assisted living wing has a spacious common area that includes a living room, dining room and activity space. Assisted Living residents also have access to enjoy all of our campus amenities. Safety first! If the home or current living situation is cause for concern, it’s time to consider a change and assisted living may be the answer. Signs you should watch for that indicate a change is needed are: personal hygiene changes, clothes worn repeatedly or not laundered, confusion with medications, poor nutrition, reoccurring falls, isolation and/or forgetfulness. If you have noticed any of these symptoms consider moving your loved one to a community such as Trail Ridge, where they can receive the services and benefits of specialized care and you have peace of mind. 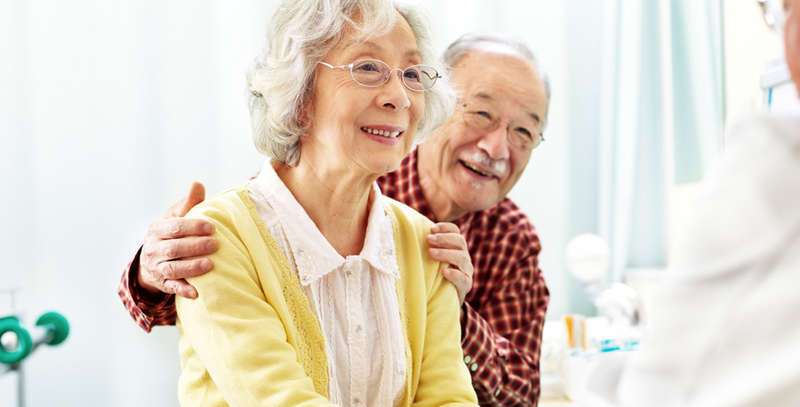 Before moving to assisted living, residents are given a full comprehensive nursing assessment to determine the level of care needed, this will also provide pertinent information to help guide needed decisions. Often adult children contact Trail Ridge after, or during, a healthcare crisis, hospital stay, during a rehab stay or a drastic health decline. In this situation you can rely on healthcare professionals to recommend the best setting for your family member. They have the ability to properly assess and help determine what the needs really are. The decision for the health and safety of your loved one should, of course, take precedence over the desire to return to the home of 50 years with all the memories and the multiple, unused, china sets. The recommendation and the expression of your own concern for their safety and well-being will set your family on the right course. After a decision is made family members find a sense of relief and can return to being the son or the daughter, rather than being the caretaker who is overwhelmed. Assisted Living offers residents opportunity to remain as independent as possible while enjoying the security of 24 hour assistance if needed. It’s important to know you don’t need to wait for a crisis or accident to consider a move to Assisted Living. Many residents and families tour our community and learn about the program and see apartments long before any kind of health issue arises. Once they see our assisted living wing and meet the happy residents their concerns are put aside and they welcome the change. Making the transition under these conditions is more desirable and less stressful than having to react to an emergency situation. At Trail Ridge we provide around-the-clock services and observation. This means you can be assured our staff is there to support your loved one and keep you informed. For each new resident we create an individualized care plan that monitors their well-being, and if changes do occur we are able to adapt and make certain they are attended to immediately and appropriately. The majority of senior communities like Trail Ridge charge month-to-month rates. Several of the primary factors that determine rates are apartment size and level of care or service needed by the resident. When looking at options it’s important to know what you are getting for your dollar. Our program at Trail Ridge is considered all-inclusive, therefore you receive many more included benefits than other communities offer. Assisted living provides the opportunity for continued socialization and activities, balanced nutrition, and the peace of mind that assistance is always nearby. The basic monthly assisted living rate includes a majority of personal services plus 3 meals and 2 snacks per day. Please contact our senior living advisors for more detailed information 605-339-4847. Please contact our senior living advisors by calling 605-339-4847 and we will help you sort through the many choices available. Let us be your resources for senior living. We have the information and access to what may be the best resource of all – our residents – people who have already made the decision and are very happy with the outcome. You may also use the form below to ask any questions you may have, or to simply contact us for more information.